So it’s been a bit less than two months since I started attending a Japanese language school here in Tokyo. In that time, I’ve managed to attend three different class levels for varying amounts of time. The result is that, even though my time having attended the language school is still quite limited, I have a bit of insight into how things seem to work that I might not have noticed so clearly had I progressed in the normal fashion. So today I’ll tell you just a bit about how my Japan-based Japanese language school seems to work. I think we can assume that it many of the others follow a similar model, but I of course cannot make any claims regarding this matter. First of all, the classes are conducted in Japanese, of course. Being one of the very few (or the only) English speaking students in all of my classes, it would be quite strange to conduct classes in English. And of course, attendance is not limited to any other nationality, either. Not to mention that immersion is a great advantage in learning a language. That’s why you study the language in its native country, is it not? So how do you teach a language (to non-infants) using the language itself? Unfortunately, I never attended the first class, so I can’t say definitely how they went about this. However, by seeing the textbook used, I can guess that many pictures, gestures, and so forth were used. Beyond this, something peculiar that I noticed when reviewing the first book used by the school was that it seemed to progress so quickly. The same seemed true for the second book that I received. So I wondered, do they really advance this quickly? From my observations thus far, the answer seems to be both yes and no. Huh? Here is what I mean. When I left the first class that I was placed in, we were discussing the grammar for aida. During the second class I was placed in, we were discussing the grammar for aida. In the third, or my current class, we have at one time or another once again discussed aida. So what does it all mean? To sum it up, things move very quickly in the language school. In a three month session, hundreds of words, hundreds of kanji, and a good number of grammatical constructions are covered. But rather than moving on completely, these words, kanji, and constructions continue to pop up again and again in addition to new material being covered. The result is that a very large amount of material is covered while constantly reviewing past material. I will have to spend more time in the class before I solidify any feelings regarding this method, but it is quite interesting and seems to make sense. I should be advancing to a new class before long, so I’ll let you know if my conclusions turn out to be completely wrong. Thrice I said that I would post my next entry, and today will make it thrice that I have fallen short of fulfilling that promise. On the upside, I’ve spent that time helping to make sure that you get your daily lessons! However, today, instead of simply telling you that I might post my entry next week, I will give you something a little different (that should be a much quicker writeup). As I mentioned previously, I have recently started attending a Japanese language school here in Tokyo. Whether it’s been one or two weeks since I started, I can’t quite remember. Nonetheless, I know this topic may be of interest to some of you, so I will intertwine updates about this experience with my kanji learning entries from time to time. Today will be the first update. My first class. The first class that I was placed in was about fifteen Chinese people and myself. Well, to be fair, one is from Taiwan. I’ve always heard that Chinese people have a large advantage over westerners when learning Japanese because they already use kanji daily. The largest discovery while attending my first class was probably that I don’t believe this to be true anymore. While they probably have a better idea of the meanings, the manner of writing many of the kanji is different, especially for those who use simplified Chinese. And although the onyomi is supposed to be the Chinese pronunciation, the difference is large enough that many times the Chinese are unsure. Of course, for a complete beginner, anyone from a country that uses kanji will have some kind of advantage over someone from a country that does not use kanji. However, I feel that we all have to study kanji diligently, no matter where we’re from. Now, you may be wondering why I said my “first” class. Two days ago, I switched classes. I moved up one level because the class I started in was a bit too easy. My new class has a little bit more variety. I’m told that the statistics are as follows: 1 Myanmar, 1 Indian, 5 Koreans, and about 8 or so Chinese. This class is a bit more lively because the students feel confident enough to make jokes every now and then, and understand enough to laugh at them. My first class had two male teachers, but my current class has two female teachers. Both sets consist of one fairly young, and then one slightly older (let’s be nice here). Having only spent a short time in school, and an even shorter time in my new class, I can’t tell you a whole lot more. Over all, though, I am enjoying my time there so far. I will try to make more updates as time moves on. And now I must go. (I stayed late just for you!) Have a great weekend, and I’ll see you next week (I think). I just began attending a Japanese language school here in Tokyo this week. Due to this, I have unfortunately been too busy to write my new entry that I had promised on the 11th. (Peter’s PDF promises seem to have rubbed off on me in some way.) So let’s move my promise forward one week. If you’re interested, school is fun so far! Thank you again for your patience and understanding! As I mentioned last week, I have begun a weekly blog that will give you a look at one of the ways in which I study vocabulary and kanji living here in Japan. While you may not be able to replicate my process if you do not live in a place with abundant exposure to the language, I do hope that you might find the method, or perhaps the tools, of some use. As I left my keitai (cell phone) at home on the charger today, I am going to start with a brief outline of the tools that I use, and a bit about their purposes. This will also explain why leaving my cell phone has any relevance to this post. So let’s start there. 携帯 (keitai)： Short for 携帯電話 (keitai denwa), this is a word that many of you are likely already familiar with. Cell phones are a very prevalent part of life in Japan for most, as they provide a major means of communication, in addition to functioning as televisions, mp3 players, schedule organizers, and more. As for myself, my second most used feature is text messaging/email. The first is the フリーメモ. If you can read katakana, then you can probably guess what this is – simply a blank memo in which you can save any text. This is my travelogue; this is where I document my journey of discovery. If you don’t have a cell phone with this feature, any type of memo will do – digital, or even the old-fashioned pencil and paper of yore. rikaichan： You may have heard this one mentioned in the podcast. In brief, rikaichan is a plug-in for the Mozilla Firefox web browser that allows you to look up the definition of Japanese words on web pages by a simple mouse roll-over. It also includes a kanji dictionary that allows you to access detailed information regarding individual kanji. In addition to Japanese-English, there are optional Japanese-French, Japanese-German, and Japanese-Russian dictionaries, as well as a names dictionary that will provide readings for place names, personal names, and so-forth. This is an essential tool for any serious learner of Japanese, in my opinion, as well as an indispensible part of my method. スペースアルク： SPACE ALC, commonly referred to as アルク, or ALC, is an online Japanese-English dictionary that provides normal as well as eccentric interpretations of words, and often numerous examples ranging from phrases to sentences to fully-translated documents (perhaps we will discuss this feature later). You can also add this dictionary to your customizable search bar in Mozilla Firefox, which I of course have done, as I use this dictionary quite often. ALC is the tool that turns one new word for the day into an abundance of new words, as well as usually providing a better understanding of the actual meaning through numerous examples, as opposed to a single definition lacking context. These three tools are not the only tools that I use, but are perhaps the most integral in making my method successful (for me). In addition to these, though, you will need a starting point – a source. Living in Japan, I am surrounded by the language, so most of my sources are simply my environment. The poster on the wall, the book that the guy standing next to me on the train is reading, or perhaps a word that I heard uttered as I pass a couple on the street. I also like to carry a book (in Japanese) with me, in addition to picking up free publications, flyers, etc. If you are not in Japan, be resourceful. Order a book or magazine, surf random Japanese web sites, visit the local asian food market and look for a Japanese newspaper or other publication. I would also like to introduce a mailing list that I subscribe to and find very useful. The Yookoso Kanji-a-Day and Grammar-a-Day mailing lists consist of 16 different mailing lists – 11 providing daily kanji at various levels, and 5 providing daily grammar at various levels. I personally subscribe to all 16 lists, though I rarely get to check them all. The kanji emails provide stroke order animations, readings, and related vocabulary. The grammar emails provide grammar points with brief explanations, example sentences, and discussion in the comments. While the kanji emails are straightforward, the grammar emails community generated in a fashion similar to Wikipedia, and should thus be read with a discriminating eye. Next week I will give you a look at how I put these tools into play as I take you along my journey from 天命 (tenmei, divine decree), which started with a glance at a nearby book being read on the train, to 接待 (settai, similar to wining and dining clients), encountered on an event poster at a bookstore. See you then. How do you study vocabulary? Kanji? Certainly there are many ways, and surely a good number of them are effective, especially considering that we are all unique individuals who learn in different ways. In addition to being a different person than you, I also live in a different environment than many of you – Japan, in particular. 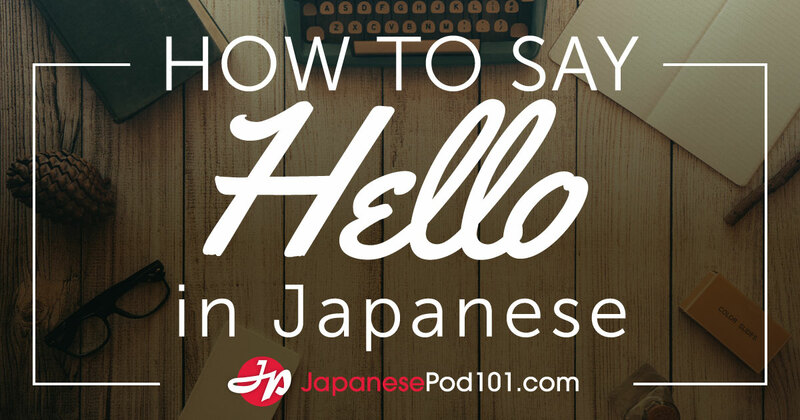 Perhaps this combination of factors (or perhaps simply the living in Japan part) will pique your interest in learning more about one of the ways in which I study vocabulary and kanji. 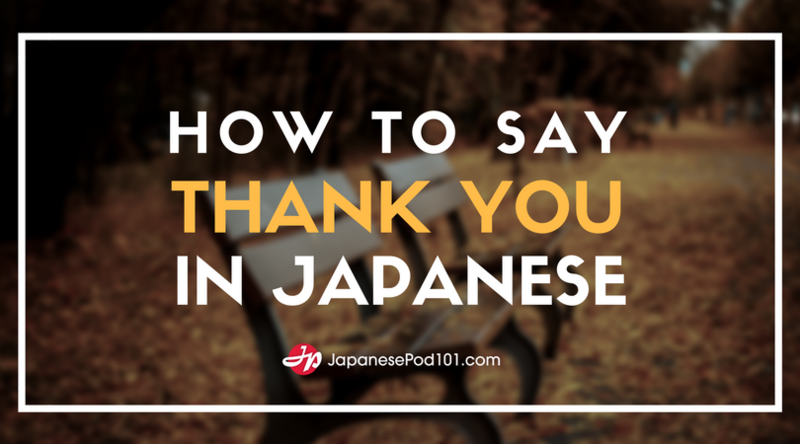 And of course, it can’t hurt to read about one of the methods of just one more student of the beautiful language that we are all studying together – Japanese. Beginning next week (yes, I plan to be quite lazy this weekend), every Thursday you can vicariously experience the path that I travel each time I can read a new word around me that I do not understand. Although our circumstances may be different, I hope that you can gain some insight from my methods. So check back here next Thursday. If nothing else, I think you just might learn a new word or two.